Jennifer Ashley, Ph.D., is the Global Director of Human Resources for CBRE where she oversees their worldwide human resources operations encompassing more than 70,000 employees. Her areas of responsibility include employee relations, staffing and recruitment, training and professional development, diversity, compensation and benefits. She is also a member of the Global Operating Committee. A graduate of the University of Michigan, Ms. Ashley holds advanced degrees from Emory University and Hunter College. She joined the MHA-NYC board in 2013. Michael Nissan, Esq., is a senior partner at Weil, Gotshal & Manges LLP, one of the world’s leading law firms. He has a wide-ranging practice in private equity focusing primarily on executive compensation and related matters, including representation of private equity firms and their portfolio companies. He also represents investment professionals in connection with their joining or separating from private investment firms. Mr. Nissan is also a Lecturer-in-Law at Columbia Law School where he has taught Private Investment Funds for over 15 years. He also serves as pro bono counsel to Baby Buggy Inc. and as a member of its Board of Directors. Mr. Nissan is a graduate of Syracuse University and the New York University School of Law. He joined the MHA-NYC board in 2007. Joseph F. Peyronnin, III, is a veteran broadcast news executive and Emmy Award-winning journalist and has held leadership positions at several prominent news organizations. He was the President of Fox News, Vice President and Assistant to the President at CBS News and founded Telemundo Network News in 1999. Mr. Peyronnin is an associate journalism professor at Hofstra University as well as an adjunct professor at New York University. He has an MBA from the Walter Heller School of Business at Roosevelt University and Columbia College Chicago. Mr. Peyronnin has been an MHA-NYC board member since 1996. Lynn D. Sherman is Chief Financial Officer at the Charles B. Wang Community Health Center (CBWCHC) where she is responsible for financial operations, human resources, facilities, construction projects, management information systems, and administrative staff. With more than 20 years of healthcare management experience, Ms. Sherman has focused on advancing health care quality, health information technology, and access to care. She is a graduate of Cornell University’s Graduate School of Management, Sloan Program in Health Care Administration and SUNY Binghamton. 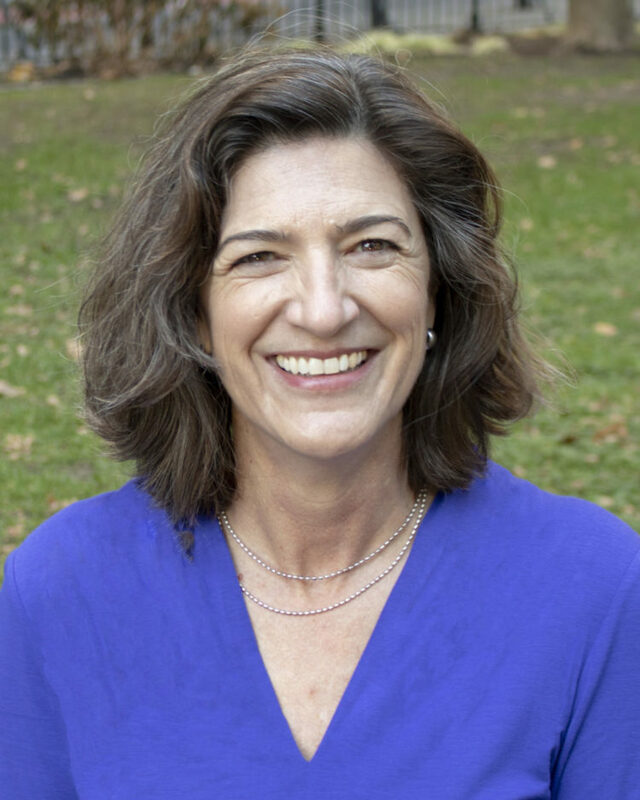 Ms. Sherman joined the MHA-NYC board in 2014. Robert P. Borsody, Esq., is co-founder and co-owner of Premier Senior Living LLC, which owns and operates assisted-living and memory care facilities in several states. Mr. Borsody is actively involved in acquiring and developing additional properties for his company. He is a graduate of the University of Virginia School of Engineering and University of Virginia School of Law. Mr. Borsody joined the MHA-NYC board in 1984. Chris Balestra joined Taconic Investment Partners in 2005 and is head of its acquisition group responsible for sourcing, financing and executing real estate investments in New York City. Since joining Taconic, he has spearheaded or been directly involved in nearly $2 billion of acquisitions for Taconic. Mr. Balestra was previously a banking officer in the commercial real estate finance group at M&T Bank where he was responsible for sourcing and underwriting prospective lending opportunities. He earned his Bachelor of Arts in economics from Colgate University and joined the MHA-NYC board in 2015. Phil Binaso was Senior Vice President of Operations for a major transportation company most recently. Phil had responsibility for global process improvements and technological innovations relating to annual audit and freight payment transactions valued at $1 Billion annually. Prior to that, Phil was the Chief Operating Officer for a international manufacture where he directed the sales and marketing strategy and implemented e-business concepts and solutions. Throughout his career, Phil has held various positions in finance, distribution, logistics, manufacturing and information services. He has provided best-practice solutions to Fortune 500 companies for business applications such as financial systems order management, sales and marketing, supply chain, and manufacturing. He began his career at GAF Corporation. Phil holds a bachelor’s degree in History and Philosophy from William Paterson University in Wayne, NJ and has a love for both Opera and the Broadway theater as well as his non profit work. Phil was a board member of Link2Health Solutions for 11 years. Grant Hilary Brenner, MD, FAPA is a psychiatrist known for enabling his clients to overcome stubborn obstacles, unleashing the entrepreneurial spirit, and maintaining resilience. Dr. Brenner brings nearly two decades of consultation, workshops, speaking engagements, therapy, and coaching to his clients, who range from individuals seeking to overcome emotional obstacles to executive seeking to function better in the workplace. He emphasizes a humanistic and integrative perspective, incorporating evidence-based approaches as well as innovative techniques such as transcranial magnetic stimulation (TMS) and neurofeedback. He completed 2 years of General Surgery training at Northshore-LIJ, general adult Psychiatry residency at Mount Sinai in New York City, and Psychoanalytic and Organizational Psychodynamic training at the William Alanson White Institute. Dr. Brenner is board-certified, and a Fellow of both the American Psychiatric Association and the New York Academy of Medicine. He is on faculty at the Mount Sinai Beth Israel Hospital, former Director of Trauma Service at the William Alanson White Institute and Vice President of the not-for-profit Disaster Psychiatry Outreach, and recently appointed to the Board of Directors of the Mental Health Association of New York. Dr. Brenner is co-author of Irrelationship: How We Use Dysfunctional Relationships to Hide from Intimacy and the forthcoming sequel Relationship Sanity: The Art of Creating Healthy Relationships (CRP, anticipated publication October 2018), an author and editor of the book Creating Spiritual and Psychological Resilience: Integrating Care in Disaster Relief Work, and has published a number of book chapters and papers. He is an experienced lecturer and teacher, including teaching a weekly class in Advanced Psychotherapy for psychiatry residents, and seminars on the neurobiology of trauma, resilience, self-care and risk communication for advanced practitioners, among other topics. Dr. Brenner has appeared regularly in national media spots addressing a variety of subjects. His is sole author of the popular Psychology Today blog entitled ExperiMentations. Lawrence Calcano is one of the Managing Partners of iCapital Network where he is responsible for the Company’s Investor Network and business development. Mr. Calcano previously was a partner at Goldman, Sachs & Co., where he spent 17 years, most recently serving as the co-head of the Global Technology Banking Group of the Investment Banking Division. Prior to Goldman, he was a financial analyst at Morgan Stanley. Mr. Calcano is a graduate of Holy Cross College and the Amos Tuck School of Business at Dartmouth University. He has been a member of the MHA-NYC board since 2012. Robert Chang is Chief Strategy Officer at the Illinois Mathematics and Science Academy, and co-founder and CEO of htpt, a startup studio, that currently operates several early-stage ventures including Piggybackr, Sidetime, and Cupidum. Robert is also a board director with Zero to Three and the Chinatown Health Clinic Foundation. He has prior experience in venture capital, Fortune 50 companies, and leading institutions including the Harvard School of Public Health and The Rockefeller Foundation. He has also produced award-winning feature films including Advantageous, which won a Special Jury Prize at Sundance, and a documentary short in Morgan Spurlock’s acclaimed “We the Economy” series. Robert graduated from the University of Chicago and received his MBA from the Yale School of Management. Mr. Chang joined the MHA-NYC board in 2009. Scott Cutler is a seasoned executive with extensive global business experience and a belief in the transforming power of technology. 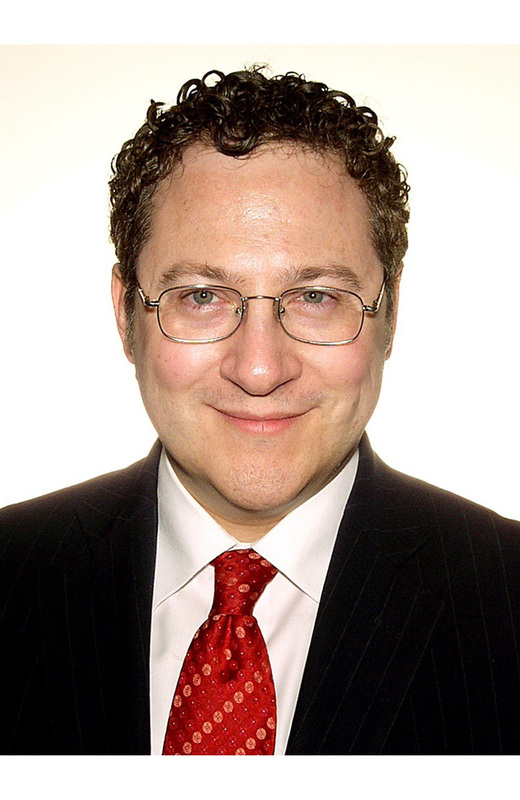 He oversees eBay’s Americas business unit, which includes Canada, United States, and Latin America. His responsibilities include marketing, merchandising, operations, business selling, consumer selling, shipping, payments and risk, and trust. Scott has a B.S. degree in Economics from Brigham Young University and a J.D. from the University of California, Hastings College of Law. Kevin J. Danehy is Global Head of Corporate Development for Brookfield. Brookfield owns and operates $240 billion of property, infrastructure, renewable energy, and private equity assets, with developments and investments found in markets large and small around the world. Brookfield’s Global Corporate Development group works to accelerate growth across the portfolio in markets around the globe through various means including direct transactions, M&A. JV’s and strategic alliances. Previously, Kevin joined Brookfield Global Relocation Services in January 2013 after a lengthy career at CBRE, the global leader in the commercial real estate services industry. He led Brookfield Global Relocation Services in January 2013 after a lengthy career at CBRE, the global leader in the commercial real estate services industry. He led the development and management of long-term service partnerships based upon delivering outsourced, integrated services for Facilities Management, Project Management, Strategic Consulting and Transaction Management Services. During his tenure, Mr. Danehy led some of CBRE’s largest service partnerships with clients including AIG, the City of New York, Iron Mountain, the NYSE, and the USPS. In his final role at CBRE, Kevin served as Executive Vice President of Transaction Services in the Americas. He is a graduate of Colgate University and obtained his MBA from New York University Stern School. Mr. Danehy has been an MHA-NYC board member since 1996. Seth is an entrepreneur and executive who is primarily focused on the use of technology to reshape healthcare. Most recently he founded and served as CEO of a health software firm in the “digital therapeutics” field that was successfully acquired by a national health insurer [Magellan Health] where he serves as the Chief Innovation Officer and Chief Medical Officer of Medical and Digital Innovation. This software is used on more than 20 million benefit lives in the US as well as in the UK National Health Service. 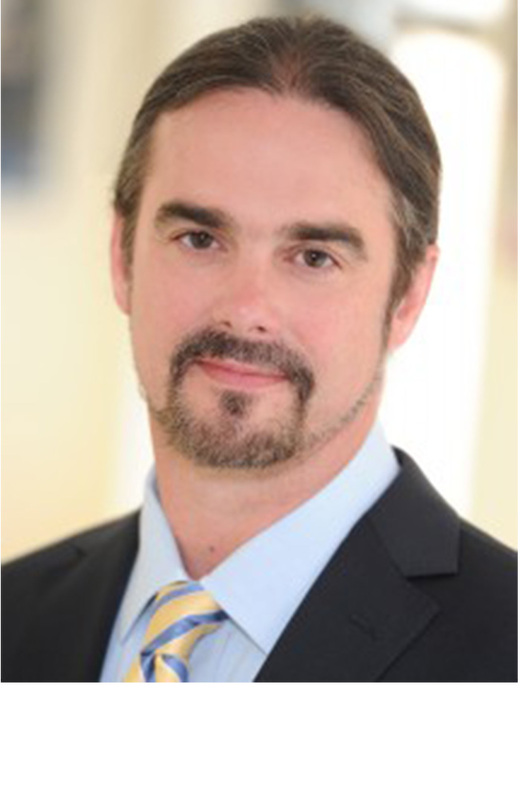 He is active in improving healthcare quality, patient experience and outcome measurement and in the digital health field broadly [as well as outside of health] and focused on a variety of projects including “software as prescription therapy”, re-thinking the healthcare ecosystem to improve care and efficiency, and leveraging technology for better integration of care. He serves on the boards of several corporations [for-profit and non-profit] and he continues to work clinically as a criminal forensic psychiatrist and supervise trainees on the faculty of the Yale University School of Medicine. Charles P. Fitzgerald is the Founder and Senior Managing Partner of V3 Capital Management, L.P., a New York City-based asset management firm investing in publicly-traded real estate and real estate related securities. Before founding V3 in 2011, Mr. Fitzgerald was Managing Partner, Co-Portfolio Manager, and Director of Research for High Rise Capital Management, L.P. Before High Rise, he served in various roles at JP Morgan Fleming Asset Management, Prudential Real Estate Securities Investors, Prudential Real Estate Investors and Gabelli Asset Management. Mr. Fitzgerald holds a BA in Economics and Finance from Northern State University and is a CFA charterholder. A native of Minneapolis, he lives in New York City with his wife, Katie. Monica Fraczek, CPA is an audit partner at Loeb & Troper LLP, an audit and consulting firm specializing in not-for-profit, health care and special needs agencies. With over twenty years at Loeb & Troper, Ms. Fraczek works with some of the largest and most complicated agencies in the Greater New York area. In addition to her client portfolio, she is a member of the firm’s Business Review Committee, Business Development Committee and plays a leading role in its CPE/Mentoring/Staff Development efforts. Ms. Fraczek is a member of the American Institute of Certified Public Accountants and the New York State Society of Certified Public Accountants. She holds a Bachelor of Science in accounting from Brooklyn College. Ms. Fraczek joined the MHA-NYC board in 2015. Jerome L. Levine concentrates his practice on estate planning, estate and trust administration, and income and estate taxation. Mr. Levine represents closely held businesses; real estate, entertainment, and media clients; private investors and entrepreneurs; and executives of publicly held companies. His experience encompasses wills and trusts, estate and gift tax audits, valuation of closely held businesses, domicile disputes, and prenuptial agreements. Mr. Levine is a member of the board of a number of private foundations. Mr. Levine has lectured extensively on the subject of estate planning and the administration of trusts and estates for programs of the American Bar Association, Estate Planning Council of New York City, New York State Society of CPAs and others. Mr. Levine was co-chair of the firm from 2000-2004. Prior to becoming co-chair of the firm, Mr. Levine was the managing partner of the New York office and national chair of the Trusts and Estates practice group. Alison Lewis joined Newmark Knight Frank in 2013 and currently serves as chief administrative officer, based in the New York headquarters. As a member of NKF’s executive leadership team, Ms. Lewis provides guidance and oversight of NKF’s business lines and office operations. She also focuses on national recruiting and strategic acquisitions for the firm. 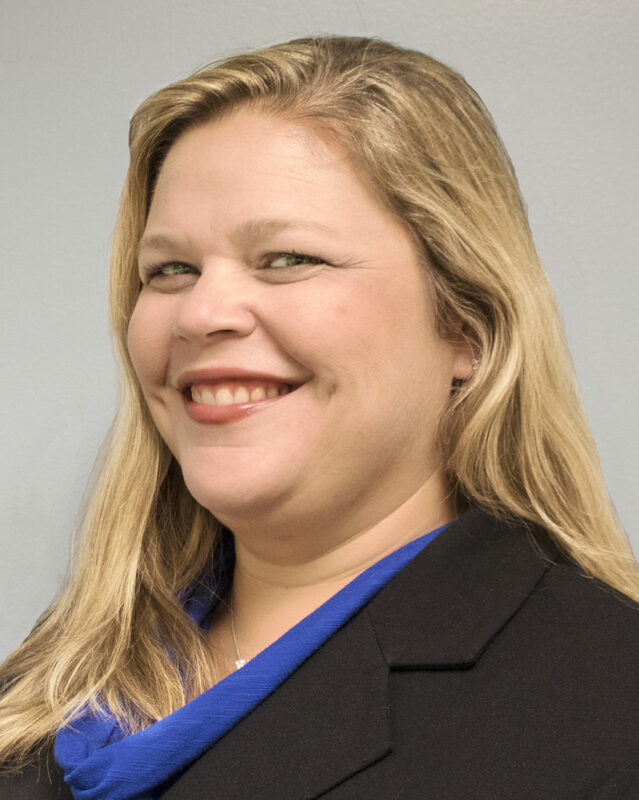 Ms. Lewis works to continually improve support to NKF’s brokers by leveraging technology, bringing operational efficiencies, and employing the firm’s first-in-class marketing, presentations, research and financial analysis materials. In addition, Ms. Lewis supervises the business operations managers across NKF’s national offices. Previously, Ms. Lewis spent five years at CBRE as the senior managing director of New York Tri-State Region brokerage. In this role, she was responsible for the development, management, recruitment and training of the firm’s New York brokerage staff, as well as all activities relating to the region’s national and global urban retail initiative. Prior to her work at CBRE, Ms. Lewis served as part of the executive management team at Studley for Julien Studley. As senior vice president, she was instrumental in the development and execution of its corporate business strategy to enhance and grow the firm’s brand and market share. Ms. Lewis earned a bachelor’s degree in international business/foreign careers from Lehigh University. Steven L. Marcus, CPA, has been the Managing Partner & CEO of Gettry Marcus CPA, P.C. since 1987. He has been instrumental in the firm’s diversification and growth, expanding Gettry Marcus’ presence in the New York-Metro Area and Top 200 firm status nationally through the establishment of highly credentialed practice groups which include Real Estate, Healthcare and Business Valuation & Litigation Support Services. Mr. Marcus is a graduate of Syracuse University and currently serves on the board of TGS Global, a network of international accounting firms. He joined the MHA-MYC board in 2015. Meyer Mintz, CPA, JD, LL.M., is a tax partner at Berdon LLP, and has been with the firm for more than 15 years. He has particular expertise in the tax aspects of partnership agreements, limited liability companies, and other business organizations and has also worked with attorneys in litigation matters. Mr. Mintz is a member of the American Institute of Certified Public Accountants and the New York State Bar Association. He holds a Bachelor of Science degree in accounting from Touro College, a Juris Doctor degree from Brooklyn Law School, and a Master of Laws in taxation at New York University School of Law. Mr. Mintz joined the MHA-NYC board in 2011. Robert S. Nash, Esq., is a partner at the New York law firm Schulte Roth & Zabel where he focuses his practice on commercial leasing (on behalf of both landlords and tenants); real estate development, sales and acquisitions; real estate brokerage; and property management. Mr. Nash has extensive experience negotiating commercial leases on behalf of private investment funds and other companies. A member of the New York State Bar Association, he is a graduate of Bucknell University and St. John’s University School of Law. Mr. Nash joined the MHA-NYC board in 2007. Tuhina De O’Connor is the Director of Donor Services at Rockefeller Philanthropy Advisors. A 16-year veteran in the non-profit sector, she most recently worked at the Robin Hood Foundation, a large public charity in New York City whose mission is to fight poverty in the five boroughs. Prior to that, Ms. O’Connor was the CEO of a non-profit organization, the New York Asian Women’s Center, a direct service provider of domestic violence services and shelter for Asian women and children. She has been a member of the MHA-NYC board since 2012. Corbett A. Price serves as Chairman and CEO of Quantix Health Capital, LLC, a healthcare financial advisory firm. Mr. Price also serves as CEO of Kurron Capital, LLC, a healthcare private equity firm, and is the Founder and Chairman of Kurron & Company, Inc., a management-consulting firm that manages healthcare companies in the U.S. and abroad. Prior to the formation of Kurron, Mr. Price served in a senior capacity at HCA healthcare company, most recently as Vice President and head of their Mid-Atlantic division. He is a graduate of Ohio State University and joined the MHA-NYC board in 2009. John D. Robinson worked in the Fixed Income Division at Morgan Stanley for 30 years and has been a board member of MHA-NYC since 2004. Mr. Robinson graduated from the University of Richmond in 1983. He joined the MHA-NYC board in 2004. Bruce J. Schwartz, M.D., is currently the Deputy Chairman, Clinical Director and a Professor of Clinical Psychiatry in of the Department of Psychiatry and Behavioral Sciences at Montefiore Medical Center and the Albert Einstein College of Medicine. Dr. Schwartz’s responsibilities include oversight of all teaching, clinical, departmental practice and research activities in the Department at the Weiler, Moses, Wakefield and Behavioral Health Clinics at Westchester Square and Turnbull Divisions as well as the Division of Substance Abuse. He is a graduate of SUNY Downstate School of Medicine and has been a member of the MHA-NYC board since 1995. 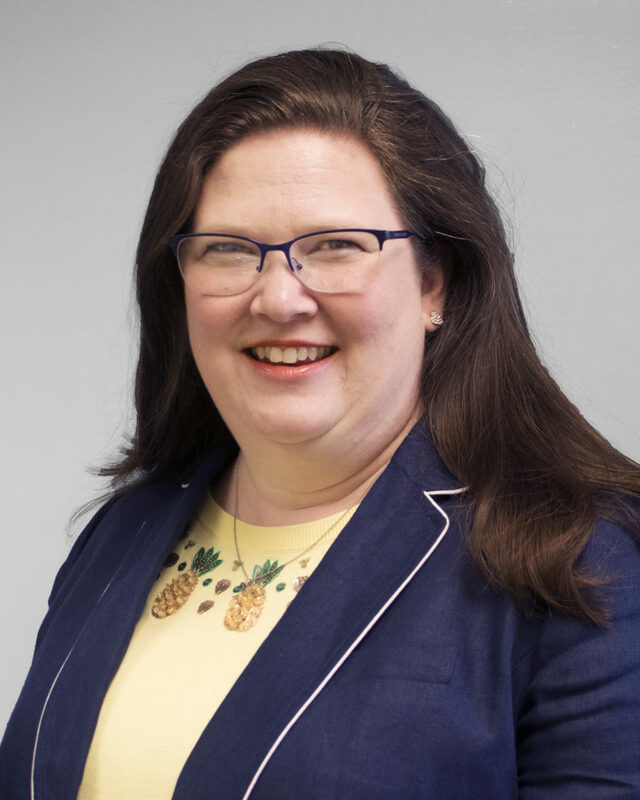 Kristen Cutforth joined Vibrant in June 2017 as Chief Operating Officer with responsibility for financial and administrative oversight of the organization’s operations. She brings with her over 20 years of experience in overseeing public grants and contracts at both funder and recipient organizations. Most recently, she was General Counsel and Chief of Operations, Administration at Seedco, a national nonprofit headquartered in NYC, and prior to that was the Assistant Counsel to the Inspector General at the National Science Foundation. Ms. Cutforth holds degrees from the University of Washington and Georgia State University, and is a member of the Maryland Bar. 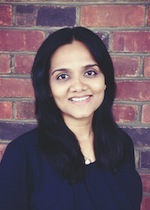 Dr. Anitha Iyer is a NYS Licensed Clinical Psychologist. As Chief Clinical Officer, and Vice President of Crisis and Behavioral Health Technologies, for Vibrant Emotional Health, Dr. Iyer provides clinical leadership and management oversight to ensure Vibrant’s services incorporate the highest clinical standards, trainings, and best practices in the field. 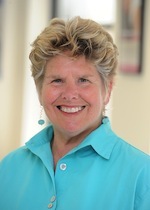 She is a recognized leader in the innovative use of technology in delivering crisis services, is an advisor to the National Suicide Prevention Lifeline through participation in their Standards, Trainings, and Practices Committee, and is a frequent speaker at behavioral health and suicide prevention conferences across the nation. Her professional affiliations include American Psychological Association (APA), and New York State Psychological Association (NYSPA), Sakhi for South Asian Women for whom she serves on the Board of Directors, Contact USA for whom she serves on the Board of Directors, and the South Asian Council for Social Services (SACSS) for whom she serves on the Advisory Board. Dr. Iyer is multilingual and fluent in English, Tamil, and Hindi/Urdu. David Koosis is CIO of Vibrant. His goal is to apply the power of technology to prevent suicide and improve mental wellbeing for everyone. Prior to Vibrant, David was a technology leader in public service, where he served as CIO/CTO and Deputy Commissioner at the NYC Departments of Correction and Probation, and headed the Technology PMO for NYPD. Prior to 9/11, David was principal of a funded software startup and he ran a software consulting practice which developed web applications for top financial, technology and media firms. David developed PC Magazine’s benchmark programs, device control systems for Rockefeller University, and an 8087 simulator used to teach floating point math. He wrote the best-selling primer “Java Programming for Dummies.” David’s teams, projects, and products have built businesses, earned customers, and won awards including the PC Week Best Practices Award, and NYC Technical Excellence Awards. Josephine Parr joined Vibrant in May 2017 as Vice President of Marketing and Communications with oversite of all internal and external branding, positioning, communications and development. She has over 25 years of experience providing strategic communications, organizational positioning, media relations and crisis communications for diverse organizations, including nonprofits, higher education and private corporations. 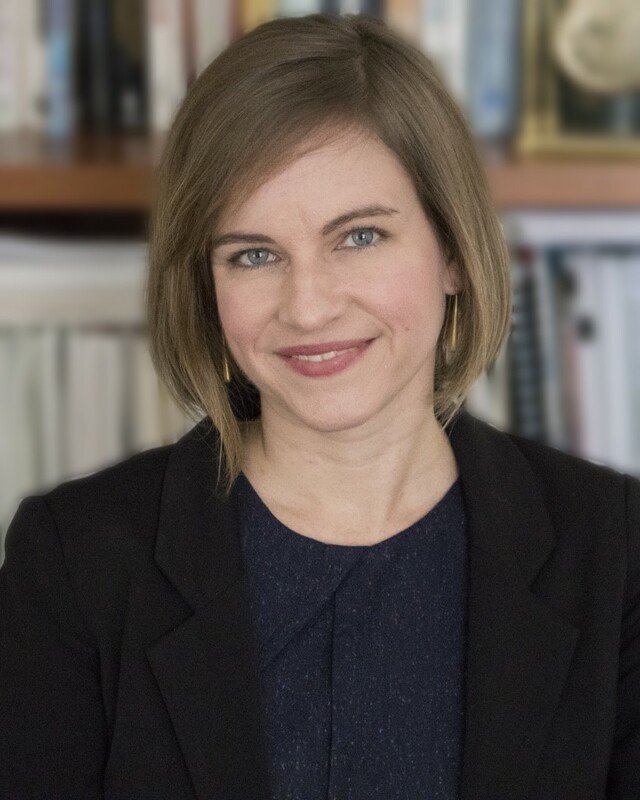 Ms. Parr has a BA from Vassar College and a Master’s of Public Administration from NYU’s Wagner School. She is also a published writer and has spoken at a wide range of national and international events. Dr. Salisbury has over 30 years of experience as a mental health clinician, administrator, educator, consultant and policymaker focusing on mental health issues. She has been instrumental in building Vibrant’s diverse portfolio of innovative programs and services, including family support programs, services for transition age youth, disaster mental health services, workplace wellness programs, and online behavioral health services. Dr. Salisbury’s work has been published in peer reviewed journals such as Child and Adolescent Clinics of North America and the American Journal of Public Health as well as popular and trade publications such Behavioral Health News and Parent Magazine. She is a frequent presenter at national conferences on a wide range of behavioral health treatment and policy issues. Jane Gutshall Walsh joins Vibrant as the Director of Human Resources with more than 20 years of experience in Human Resources, Sales, and Marketing, in both the corporate and non-profit sectors. Most recently she was consulting at Sun Pharma, positioning the Human Resources function for success post-merger and acquisitions. Prior to consulting, Jane was the Director of Human Services and Administrative Services for Hamilton USA, where she oversaw the build out of the People and Administrative programs. In addition, Jane has worked with The American Cancer Society and American Red Cross, as well as other private sector firms. Ms. Walsh holds a Bachelors in Human Services from Villanova University and the SCP designation from the Society of Human Resources Management.